Hello. We want to talk to you about Saltair Home Salt Therapy. This is a device that improves your breathing and helps clear up your respiratory system, and it’s especially effective if you have asthma or other conditions like bronchitis, COPD or shortness of breath. Salt therapy is not new; it was used by the ancient Greeks thousands of years ago to help people with respiratory problems. Even during the medieval age, monks would take the sick in salt caves so they could inhale the salt particles. Unlike other asthma treatments that rely solely on anecdotal evidence, there is a growing number of medical institutions that build near these salt caves to take advantage of their healing properties. If you have got asthma, or other breathing condition, and cannot afford to go to one of these salt caves, you can now try the Saltair device. This is an ultrasonic particle dispenser that uses ultrasonic frequency vibration to convert saline solution into microscopic salt particles. Once they’re converted, they’re released in the air to breathe them. These microscopic salt particles are able to travel deep into your lungs. 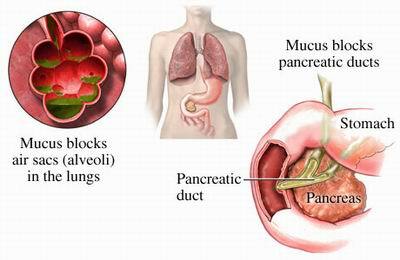 It kills the bacteria and removes the mucus that make it hard for you to breathe. At the same time salt particles also reduce inflammation and act as a humidifier for your respiratory tract. The salt aerosols also clean the air around you, removing dust, viruses and bacteria. As you can see, the Saltair isn’t that big, and you can put in on your night table, desk or next to a chair while you’re watching TV. It’s also easy to use, as you just have to plug it in during the day or leave it on overnight. You can use this anywhere, but I suggest placing it near your bed at night when you go to sleep. With Saltair on, the salty air is directed at you. The Saltair covers around 1700 cubic feet, so even if you move around the room you can still breathe the salt particles. However, this isn’t a humidifier and only releases salt for breathing. Saltair is compliant with the FDA Canada and can be used by anyone with chronic respiratory disease. This is safe for men, women and children, including pregnant women and babies, and it isn’t going to interact with your medication or diet. In fact you can even use this for pets with respiratory problems. Do you have a baby with runny nose? Just place the Saltair near them, plug the device and it’s going to help them breathe. And you get the same benefits if you’ve got elderly folk living with you with breathing problems. Unlike other asthma treatments, Saltair doesn’t require you to wear a mouthpiece or a mask. Saltair comes with a free 3 month supply of natural rock salt, a cleaning kit and an instruction manual. It comes in a waterproof keychain pill container so you can bring it with you anywhere you go. If you’ve been suffering from asthma and unable to get relief, maybe it’s time you gave Saltair a try. Trust me, you’ll breathe more easily. Salt therapy serves as a natural method of treating and even complimenting medical treatment of asthma, shortness of breath and seasonal allergies. 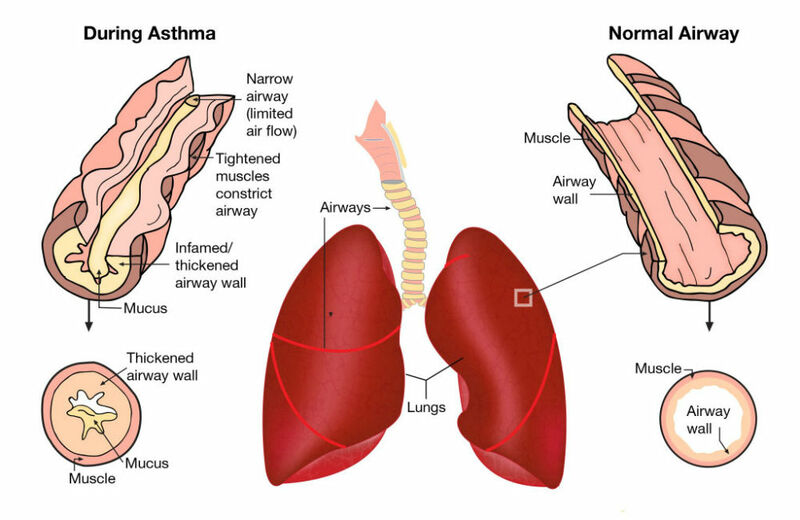 Asthma is a respiratory disease which includes symptoms such as frequent coughing and a feeling of tightness within the chest. The effects of asthma include inflammation of the bronchial tubes which causes constriction of the airways within the lungs. This narrowing makes it very difficult for air flow to flow in and out smoothly which results in shortness of breath and coughing. 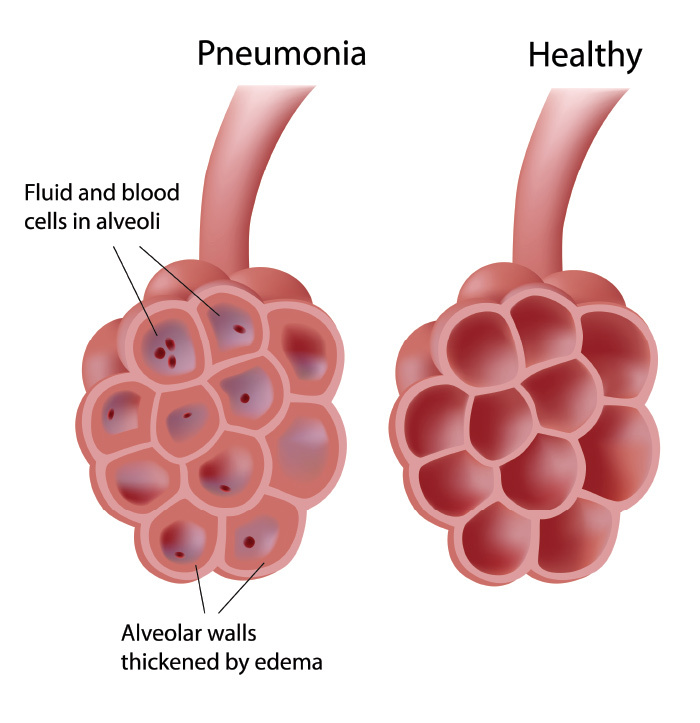 Triggers which can bring about these symptoms and may even result in an asthma attack are varied in their nature and which would include; viruses, seasonal allergies, environmental pollution and even certain types of foods. Allergic asthma is a term whereby sufferers have severe allergic reactions to ragweed (pollen), dust mites and mould. 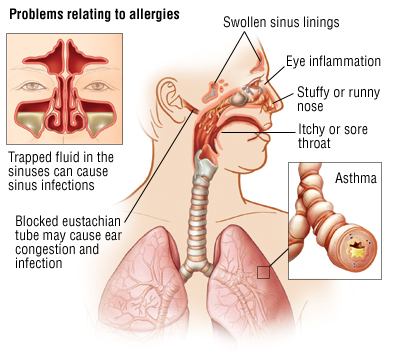 These added allergies tend to worsen the already significant symptoms presented when a patient has asthma. Treatment that doctors often prescribe include heavy medications like antibiotics, corticosteroids and bronchodilators which help in normal breathing and reduces bronchial inflammation. Though with prescribed medicines such as these, there are other side effects to look out for. Recent research has indicated that the long-term use of glucocorticosteriods (oral cortisone-like medications) may lead to low bone density and essentially osteoporosis. An alternative treatment to harsh medical ones most of the medical fraternity prescribe to, is that of salt therapy. This therapy method is all-natural and does not include the use of harmful oral cortisones. 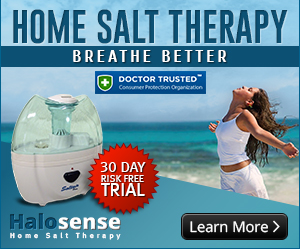 Salt therapy is the safest for use of treatment in asthma and other respiratory conditions. Salt therapy has become even more convenient with the availability of the Saltair device in order to convert your home into a salt room therapy haven. During the night sleep, the salt micro particles released by Saltair device aid in easing congestion, coughing and other breathing issues as it creates the perfect environment for natural healing to take place. These micro salt particles inhaled aid in better mucous drainage, while purifying the lungs and reducing any inflammation within the bronchial tubes. 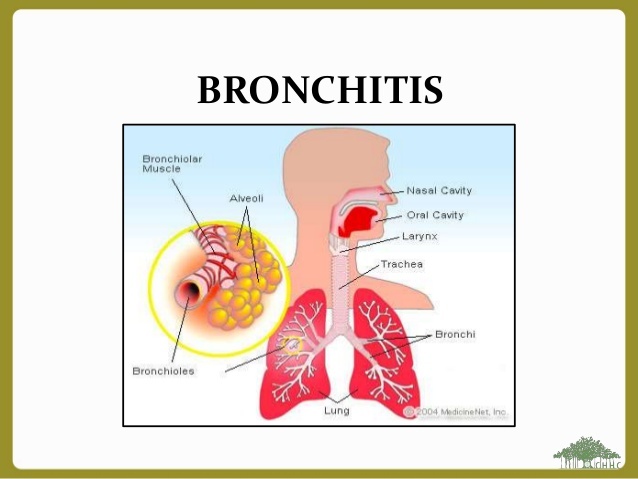 Inhalation allows the salt particles to widen the airways and heal the bronchial tubes at the same time. Such therapies are used frequently to reduce the occurrence of repeated asthma attacks. Home salt therapy, offering daily long-term exposure, will allow you to see the difference in your breathing while helping you cope with the uncomfortable symptoms of asthma. 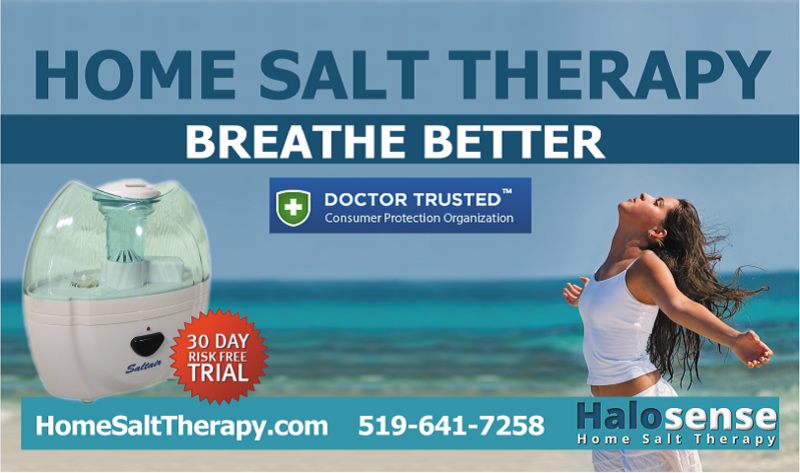 Long-term exposure by home salt therapy will help to desensitize the respiratory mucosa to allergens and diminish asthma symptoms, shortness of breath and asthma attacks.